Happy Friday! It's been an incredibly crazy and busy week here. Juggling schedules, work, school, and play has been interesting this week to say the least. Yesterday, I worked all day and then went into a whirlwind of an evening that included all of the following: attending a children's Book Fair, attending the Science Fair at the minnies' school to hear them explain their science project, and socializing for a while at a retirement party on the opposite end of town. After getting dinner on the run while picking up a few necessary things at Wegmans, the minnies finished their homework in the car just in time to make it to Irish Dance class. I'm exhausted just writing about yesterday's blur of a day. But as my girl Scarlett O'Hara says, "Tomorrow is another day." And she's right. It's a fresh new day and it's Friday! Here are five things that are on my mind today. I hope you enjoy them! Have you noticed that auctions on Facebook seem to be the newest thing? From jewelry to stationery, Facebook auctions are so popular. 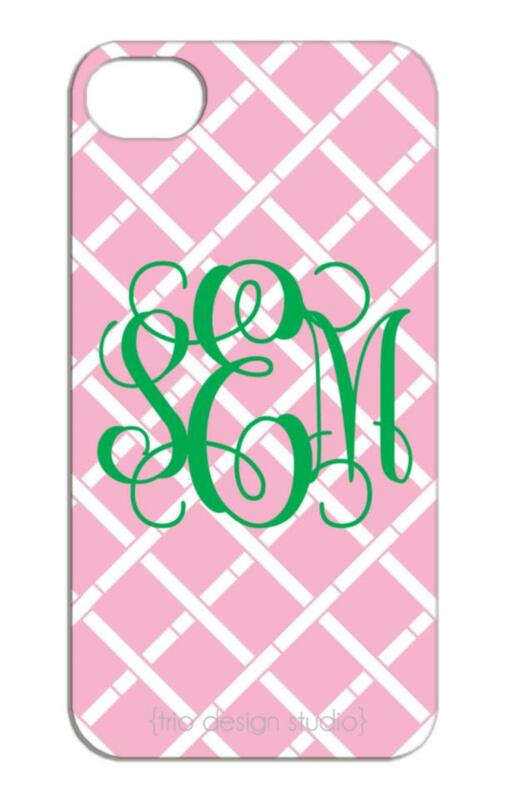 Last night, I spied this monogrammed iPhone case from Trio Design Studio. Isn't it adorably pink and green? Kraft Fresh Take is the coolest new product! Natalia had seen it advertised on television and she's usually pretty convincing when she sees an ad on TV, unless she's trying to get me to buy the Magic Bullet blender and mixer. 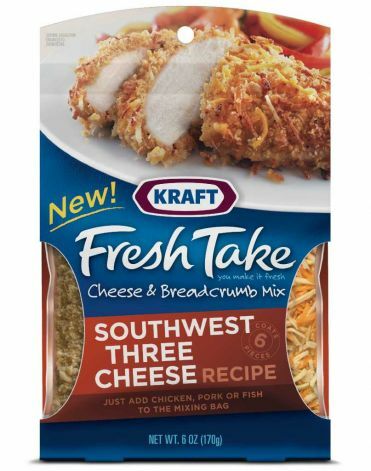 Anyhow, the Fresh Take mix comes in six different varieties including Southwest Three Cheese and Italian Parmesan. We tried the Southwest Three Cheese and it was so good. Seriously. You have to try this. It is fast and easy to prepare on even the busiest night and everyone will love it. The baked chicken is crunchy and full of flavor; it even has a little kick to it. Everyone gave it two thumbs up at home! My Kid Would Never Do That, a Dateline special series, highlights behaviors in children and teens that are often difficult for the parents to watch. The report has hidden cameras set up to test how children will react to certain situations. The first week, I watched the show with my daughters and was practically in tears for part of the show. The topic was Stranger Danger. Children who knew better ended up getting into vehicles with complete strangers, accepting free ice cream from a fake "ice cream man", giving their home address and telephone numbers to strangers, and allowing themselves to be photographed by strangers. It was incredibly eye opening and frightening to watch. The show was a great topic to discuss with my girls and I am glad that they saw it. Last week, the show didn't hit home as much because it dealt with texting while driving and teens. This week's episode is another one that I think will be outstanding! The topic: Cheating. If you have children of any age, it's worth watching this new and special series. You all know about flash sales online, but you must visit One Kings Lane's sales today! Two of my favorite preppy brands are featured today and the items are spectacular. To sweeten the deal even more, if you're not already a member of One Kings Lane, join today using this link and you'll receive a $15 credit to purchase something fun! 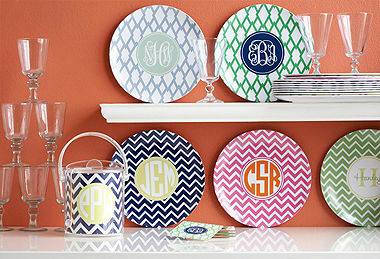 The Preppy Plates sale includes ice buckets, platters, coasters, and napkins! What a great way to start your summer. 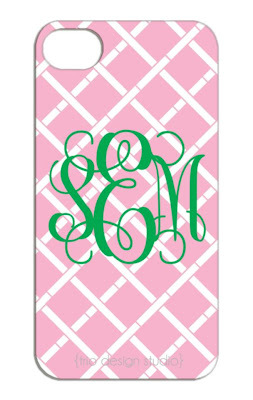 I love this particular sale because you can specify your three letter monogram, not just your initial like I have seen elsewhere. You can also see goodies from Jonathan Adler on One Kings Lane today. His designs are so much fun. Here's a preview of this sale that starts today at 11:00 a.m. I can't wait to get rid of my blackberry and get an iPhone this summer! As for the kraft "cheater" kit....LOVE them! I understand the crazy schedule! Whew! !